This is the perfect starter set for a junior golf player. With metal shafts your youngster will feel as if they have the real thing. 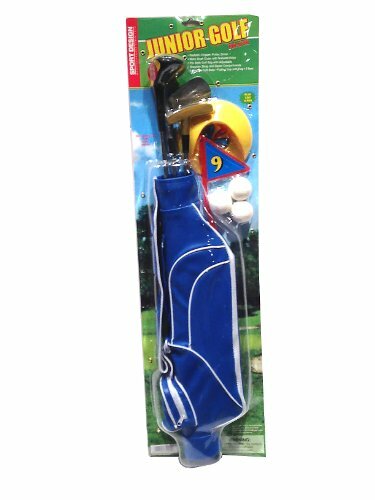 The clubs are still light enough to swing with ease with the plastic handles and club heads. Hit the back yard with all you need to learn the game. 5 Tees, 3 Balls, and a plastic hole with flag. If you have any questions about this product by Dry Branch Sports Design, contact us by completing and submitting the form below. If you are looking for a specif part number, please include it with your message.